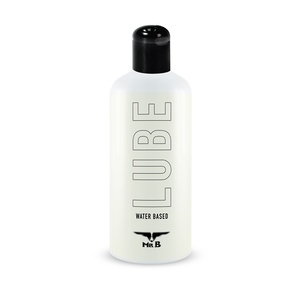 Water based lubricants in general are the only lubes that do not affect or deteriorate any toys, especially the ones that are made of very soft silicone material such as masturbators. This lube is non toxic and tasteless. It is condom compatible because it is oil and fat free. Last but not least: This lube is completely vegan. It does not contain animal byproducts and it is not tested on animals. It comes in a bottle with a flip top cap which is always easy to open and close even with slippery fingers. Ingredients: Aqua, Glycerin, Propylenglycol, Tocopheryl Acetate, Sodium Acrylate / Sodium Acryloyldimethyl Taurate Copolymer, Isohexadecane, Hydroxyethylcellulose, Polysorbate 80, Phenoxyethanol, Ethylhexylglycerin.